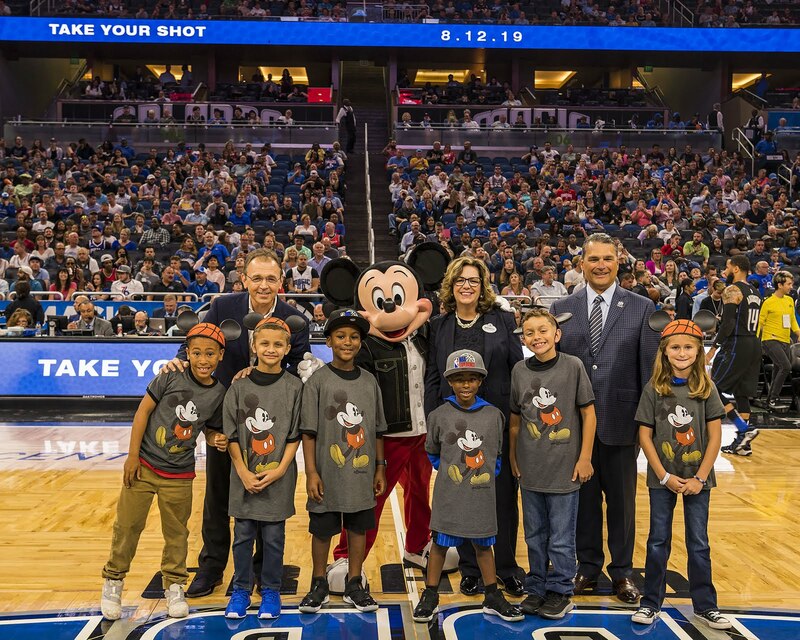 NBA Experience, the brand-new destination coming to Disney Springs at Walt Disney World Resort, officially opens Aug. 12, 2019. This announcement was made at Amway Center in Orlando, Fla., during tonight's Orlando Magic – Philadelphia 76ers game, where Mickey Mouse made a surprise on-court appearance. 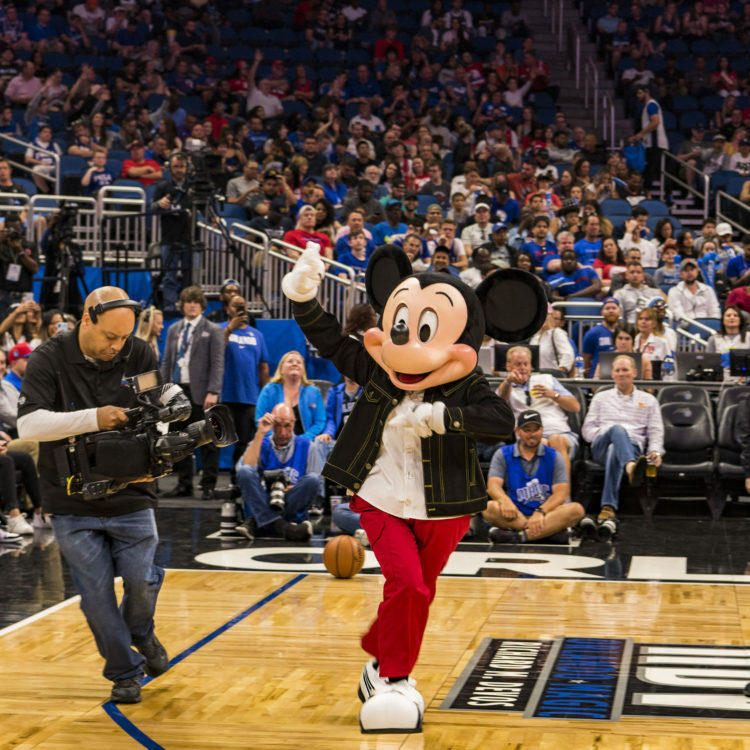 "When we were young, we played basketball in our driveways or in the park, creating those imaginary moments of making the game-winning shot for a championship," said Stan Dodd, executive producer, Walt Disney Imagineering. "We want to take that energy and help you feel what it's like to be an actual NBA or WNBA player." Upon entry to NBA Experience, guests will feel as if they're walking through the players' tunnel at an NBA or WNBA arena. 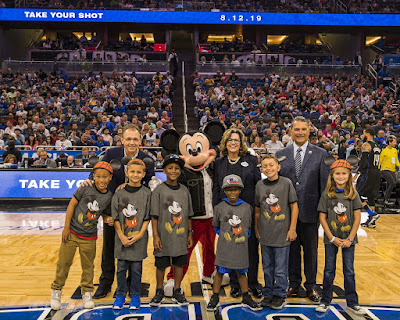 A ticket to NBA Experience grants access to every activity, in any order guests choose, with the ability to return to stations to improve performances or learn even more about the game, players and teams they love. In addition to the competitions and games, the experience will also include a retail store featuring NBA-themed merchandise. A way for guests to see how they stack up to some of the world's best basketball players by measuring their vertical leap, wingspan, shooting and dribbling. Personalization for various activities with guests' names and associating the activity with their favorite NBA or WNBA teams.